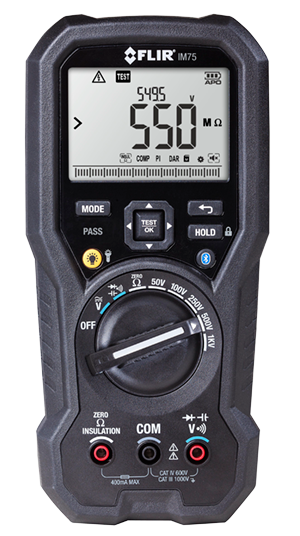 Have all the functions you need in one combination package – don’t run to the truck mid job for another meter! Connect to iOS™ and Android™ devices for remote diagnostics in hard-to-reach or hazardous areas. Also, upload data without the need for special cords. Double-molded case design and extra thick rubber on the corners absorbs shock to enhance job-site reliability and long-haul durability (IP54, 2m Drop Test). Lots of accessories included: TA81 silicone CAT IV test leads with screw on silicone insulated alligator clips, TA50 Magnetic magnetic hanging strap, 6 x AAA batteries, User manual/CD. * When registered within 60 days of purchase.